After having a breakfast in the hotel, check-out and head towards Jaipur, capital of Rajasthan, visit the very famous Fathepur Sikri en-route. Upon arrival check-in the assigned hotel in Jaipur. Overnight stay in Jaipur. After having a breakfast in the hotel, check-out and start drive towards Pushkar. Puskhar is one of the most the important pilgrimages of India and home to several temples. Brahma Temple draws the attention of pilgrims from all parts of the world. From Pushkar, you will be visiting Ajmer Sharif. Upon arrival check-in the assigned hotel in Pushkar. Overnight stay in Pushkar. After having a breakfast in the hotel, check-out & head towards Ranthambore National Park. Reaching there, check in at the jungle resort. It is one of the most visited national parks of India that is home to several tigers. Here, you can get to see several tigers. Spend overnight at the jungle resort or hotel. Overnight stay in Ranthambore Resort. Early Morning jungle jeep safari capturing Leopards, Indian gazelle, Neelgai (blue bull), Chital, Sambar, Mongoose, different species of birds and water bodies shooted in your camera's. Back to the resort for Breakfast and after lunch back to the evening guided tour to Ranthambore Fort & Jogi Mahal seeing a famous second largest Banyan tree in India. Back to the hotel. Overnight stay in Ranthambore Resort. After having a breakfast in the hotel, check-out and head towards Kota. Upon arrival check-in the assigned hotel in Kota. Later on visit the City Palace, Fort & Jagmandir that stand erect on Kishor Sagar. Overnight stay in Kota. After having a breakfast in the hotel, check-out and leave for Chittaurgarh enroute visiting Bundi 36 kms from Kota visiting the Taragarh Fort a glorious structure is a fine example of the Rajput structural design and paintings. After that visiting Chhatrasagar a attractive picture gallery depicting the tales of Radha- Krishna. Later visit Sukh Mahal, a subversive subway is supposed to run from the Sukh Mahal to the old palace. After visiting the fort proceed to visit Bijapur Castle. Continue driving to Chittaurgarh. Upon arrival check-in the assigned hotel in Chittaugarh. Overnight stay in Chittaurgarh Hotel. After having a breakfast in the hotel, check-out & head towards Udaipur, the city of Lakes. Upon arrival check-in the assigned hotel in Udaipur. Later on explore several places that are the highlights of the city. Later in the day, visit local market and shop for traditional items. Return to the hotel and overnight stay in Udaipur. After having a breakfast in the hotel, check-out & drive for Kumbhalgarh and during your journey, visit Ranakpur Jain Temples that is known for 29 halls that are supported with 1444 columns. Temples of Sun God are a must visit. After arriving at Kumbhalgarh, check-in the assigned hotel. 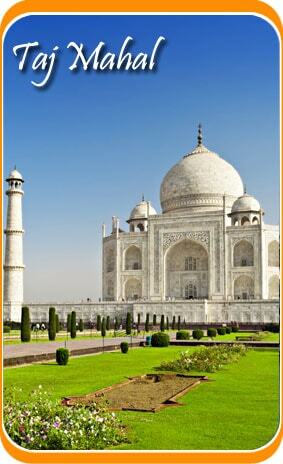 Visit multifaceted temples, buildings and palaces. Overnight stay in Kumbhalgarh. After having a breakfast in the hotel, check-out & drive towards Jodhpur. Upon arrival check-in the assigned hotel & proceed to explore the Manvar part of Thar Deserts and Mehrangarh Fort are two of the prime attractions of Jodhpur. Overnight stay in Jodhpur. After having a breakfast in the hotel, check-out & drive towards Jaisalmer. After arriving at Jaisalmer, check in at the assigned hotel. The day is at leisure and you can spend it the way you want. Overnight stay in Jaisalmer. After having a breakfast in the hotel, check-out and drive for Bikaner via Nagaur. Upon you arrival in Bikaner, check in at the assigned hotel and take rest. 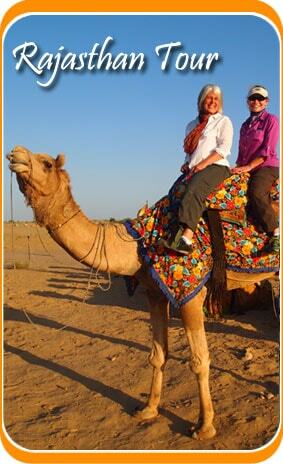 Camel farm of Bikaner is extremely famous all over the world. Evening is at leisure and overnight stay in Bikaner. After having a breakfast in the hotel, check-out and explore Forts, monuments, palaces and temples, also visit Deshnok and Bhanda Sagar Jain temple and the famous museum Lallgarh Palace & drive through the Tal Chhaper Deer. Upon arrival in Mandwa, check in at the hotel and explore some of the most sought after Havelis of Mukundgarh, Laxmangarh and Dundlod. Return to the hotel and overnight stay in Mandawa. After having a healthy breakfast in the hotel, check-out and start your sightseeing tour for Mandawa. Visit the famous Shekhavati villages Mandawa, Nawalgarh, Dundlod, etc., full of beautiful frescoes, havelis & mansions. This entire area is like an open air gallery. Later on head towards your onward destination Delhi by car. Upon arrival check-in the assigned hotel in Bikaner. Overnight stay in Delhi.